Constitutional Facial Acupuncture or CFA was developed by Chi-Akra Centre founder Mary Elizabeth Wakefield New York, USA and is now practised in five different countries. CFA is an elegant blend of thousands of years of Chinese Medicine Wisdom and modern dermal knowledge and technique. 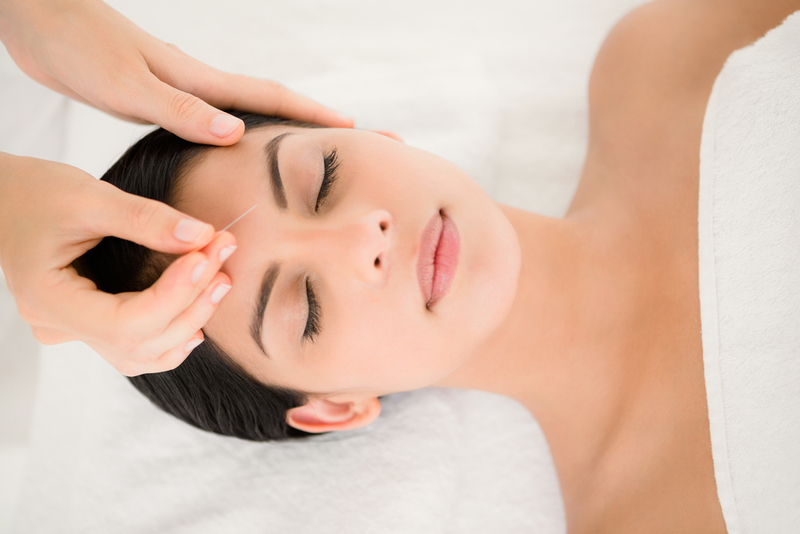 It utilises the power of acupuncture to harness the body’s natural healing process, to rebalance the underlying facial structure and to renew target areas such as forehead lines, crow’s feet and laugh lines. The face is said to be the window to the soul and shows our constitutional struggles. At Renude we believe beauty is more than skin deep and so the whole body’s health is important when treating the face. CFA treats the whole body, so not only is your skin renewed but you are also left with an altered, better state of overall health. As every body’s constitution is different, results can vary. The constitution is determined by the genes you’ve inherited and the stressors and toxins you are exposed to. Acupuncture works with the body’s natural detoxification and regeneration processes to bring the constitution back into balance. When ultra-fine needles are placed at carefully chosen acupuncture points, each person responds slightly differently. Some people respond very quickly and some constitutions need slightly more time. This can depend on many things, toxic load, active/inactive lifestyle, general stress load, amount of sleep you get, nutrition, I could go on…the list is long. Rest assured, everyone responds to and can benefit from acupuncture. The outer dermis – The natural healing properties of Chinese Herbal medicine are harnessed in 3 different herbal face masks. The first mask gently exfoliates and removes impurities. The second is used to prepare the face for acupuncture, to cool any heat or redness in the skin or to nourish the dehydrated or depleted skin. The second mask, applied after acupuncture is completed, soothes, brightens and enlivens the skin. The underlying muscular structure – as we go through life and age, our facial muscles get taught in some places and sag in others. CFA uses motor points in the underlying muscles of the face to tighten sagging muscles and relax muscles in tension. A symmetrical face is a beautiful face and CFA can bring the face back into its original symmetry. Fine lines and deeper wrinkles – with the use of super fine, very small facial acupuncture needles, specific facial lines can be targeted. Acupuncture promotes blood flow and may (more funding for more research needed here) encourage the skin to renew collagen and rebuild elastin. The outcome is that depending on your constitution, fine lines and wrinkles reduce after between 6 and 12 treatment of CFA. The constitution – our all-important health! CFA is first and foremost an ‘inside out’ treatment. Each treatment begins with a thorough assessment of your overall health and carefully selected acupuncture points on your arms and legs are used to treat your underlying constitution, ensuring the best possible outcome for your skin’s health and appearance. Finally your face is soothed and hydrated with calming jade rollers and a specially blended moisturiser and essential oils. 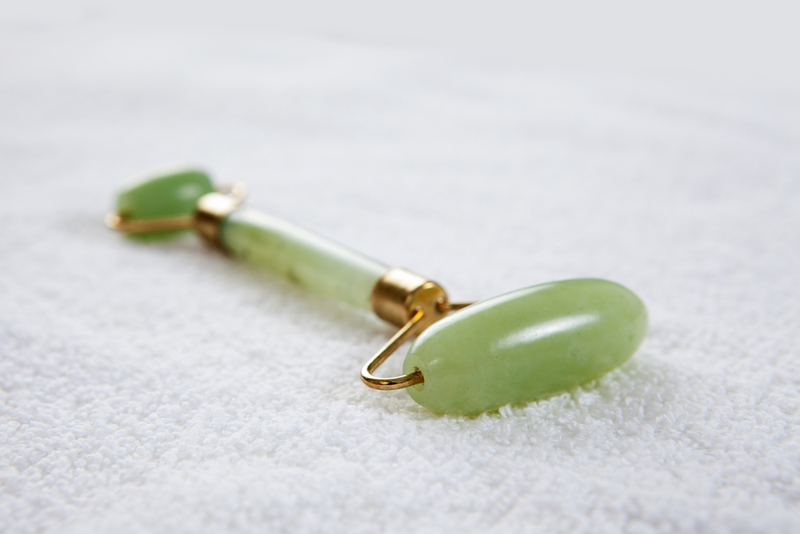 Mary Elizabeth Wakefield designed this moisturiser to complement the Constitutional Facial Acupuncture treatments and to leave your skin refreshed and renewed. It is fantastic to know there is no downtime following a CFA treatment as acupuncture is a gentle health modality. It is gentle and each treatment builds upon the last and the effects keep increasing. Hence 12 to 24 treatments are recommended depending on the constitution, however, after 6 treatments, patients with a strong constitution can see lasting effects. Mary Elizabeth Wakefield, the developer of the CFA protocol calls her clinic in New York the Centre for Ageless ageing. At Renude we endeavour to follow her example by embracing every face’s beauty and help you feel and be the best you be.